Annual membership to the Rye Arts Festival. 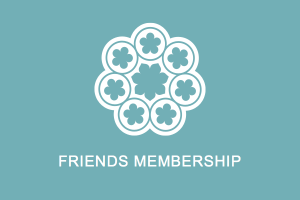 Membership includes early access and discounts to festival events. The Rye Arts Festival is held each year in September. The Festival was founded in 1972 to bring the arts in their varied forms to Rye and has welcomed many illustrious names and fostered many young talents. The Festival is a Charitable Incorporated Organisation (CIO). This clearly defines the responsibilities of members and is a more efficient structure. Our Charity Number is 1175309. £15 for priority booking, 10% discount on tickets booked in advance and a personal invitation to each year’s Festival launch event. £35 for priority booking, 15% discount on tickets booked in advance, a personal invitation to each launch event and invitations to attend other occasional special events. Please note that only the person named as a Friend or Patron will be eligible for a discount when booking tickets. £75 for commercial and other groups. 1) The membership year will commence on 1st January with effect from January 2020 (April 2018 Board Minutes). 2) Applications for membership shall be accepted throughout the year except during the 14-day closed period of notice of General Meetings (May 2018 Board Minutes). This second rule now complies with the constitutional requirement to give 14 days clear notice of meetings to all members. All paid-up members are entitled to vote at General Meetings. For immediate membership you can pay by credit or debit card or via your paypal account. Choose the amount you wish to pay from the drop down list on the right, tick the box to register the payment for Gift Aid (if applicable, see below) and then click on Sign Up Now. Then click on View basket to complete the transaction. An account will be created for you and you will be sent your login details by email. If you wish to buy tickets, on which you will receive the members’ discount, please do so before clicking on the View Basket button. Alternatively, you can pay by standing order. Please click here which will take you to a downloadable standing order form. Please complete and return this to the address shown at the bottom of the form. If you pay by standing order your membership will commence when the initial payment is received. A User account will be set up for you to make ticket purchases and the login details will be sent to you by e mail. “I want to Gift Aid this and any donations I make in the future to Rye Arts Festival. I am a UK tax payer and understand that if I pay less Income Tax and/or Capital Gains Tax in the current tax year than the amount of Gift Aid claimed on all my donations it is my responsibility to pay the difference”. Rye Arts Festival can also be supported by sponsorship, donations and legacies.